In a bid for more regular content, I’ve decided that I am going to start giving my top 5 favourite beers of the previous month. This is mainly because I love lists of any description. Who doesn’t really? Yes, it may be lazy blogging, but I’ll try and spice it up with some info on the beers themselves and a few fun tidbits regarding the previous month. Some may find it a boring read, and if you do, let me know. I’ll probably still keep doing it because, well, I’m pretty stubborn like that. 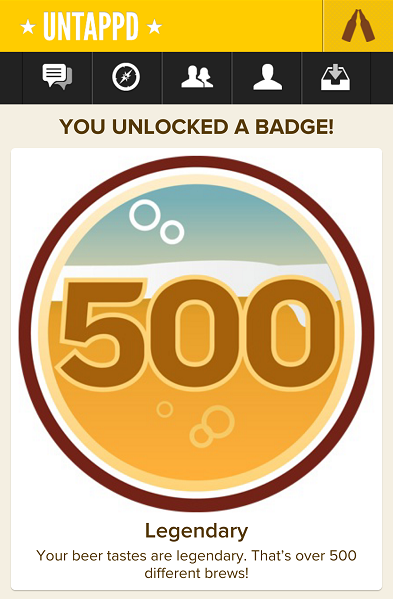 A friend of mine got me on to a fun little website called brewfeed.com. For those of you on Untappd, this will actually pull down all of your data and present it to you for statistical analysis as well as letting you export it into Excel or PDF format. This is making the new Top 5 feature on the blog a bit easier to do, as I can quickly view them without the need to fight with the website or the app. These kind of features are available through Untappd as a paid supporter, but if it’s free, why not use it instead? I’m not sure how the data analysis stacks up against the paid supporter version, but maybe some of you who have shelled out for the app can let me know how they compare. 1. It has to be a beer that is new to me for that month. 2. Well, that’s it really.. just needs to be a new beer. I had this little gem at the Scratch Bar for the wake of Cassie Potts’ blog ‘What Beer to Drink’. 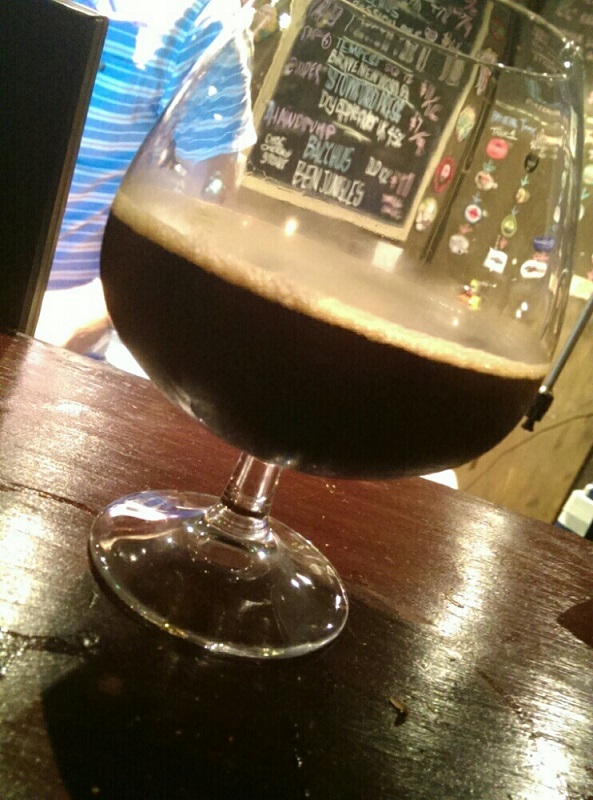 To say this beer was a sipper is an understatement. The good hour and a bit to get through this glass of Christmas pudding may have seemed like I wasn’t enjoying it to the casual observer, but it was gorgeous with each (albeit tiny) sip I took. Not for the faint at heart. 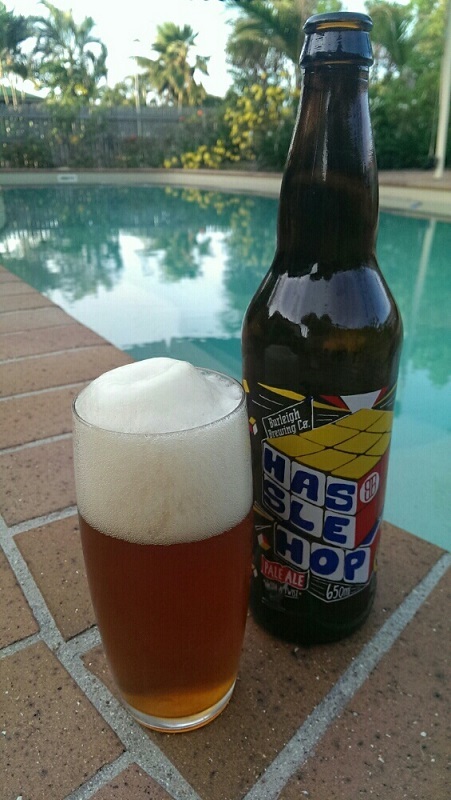 There were many preconceived notions I had about this beer. 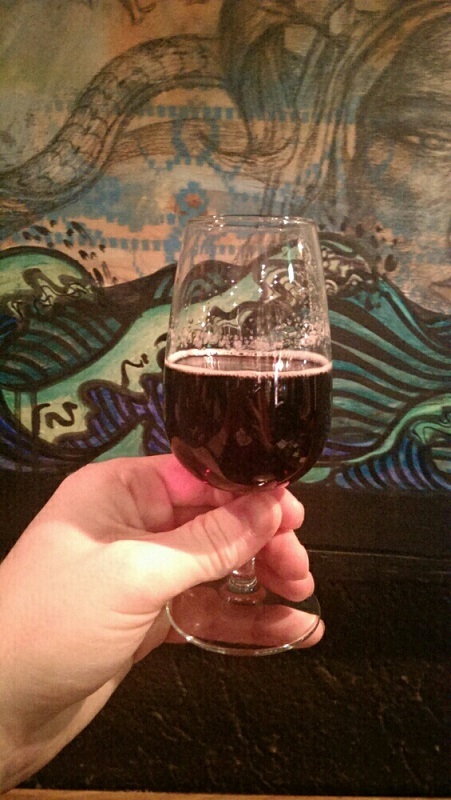 I’ve had a few dark beers that had an incredibly strong vinegar taste, which I believed was from a bacterial infection. Each time I would bring this up, the bartender would simply say “No, this is the way they intended it to taste. 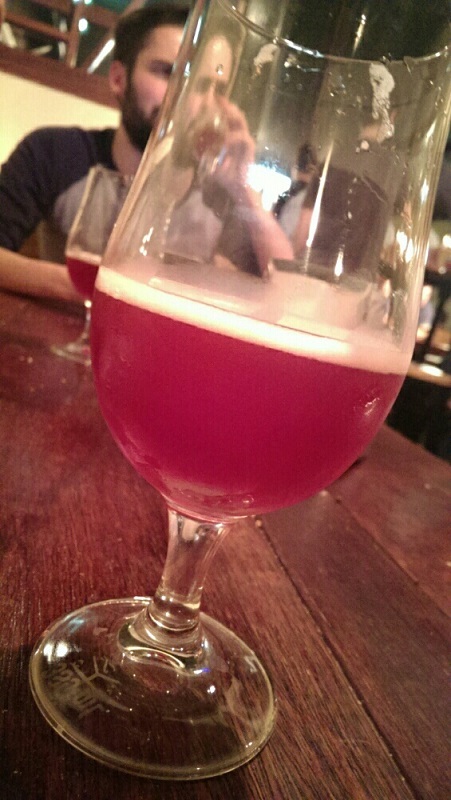 They are using sour yeasts”. I’ve even had brewer friends say that a very light vinegar taste is somewhat desirable in certain porters and stouts. Thinking that maybe I just had a palate that was uneducated in this area, I expected this to be pretty much the same as the ones I’ve had before. I was pleasantly surprised. The balsamic in this beer is not heavy at all. It adds a nice counter point to the strong roast flavour from the coffee. The ABV was just right to add a bit of heat, but it let the malt and vinegar speak for itself. To the bartenders that told me I was wrong, please know I am currently giving you the middle finger. A night of sampling with some mates at Tippler’s Tap turned into me drinking a ton before they arrived late and being slightly tipsy. By the time they entered the building the idea of having a beautiful bottle of lambic from the world famous Cantillon worried me. Would I truly appreciate this wonderful, Belgian style beer? Sip number one sobered me up in a hurry. 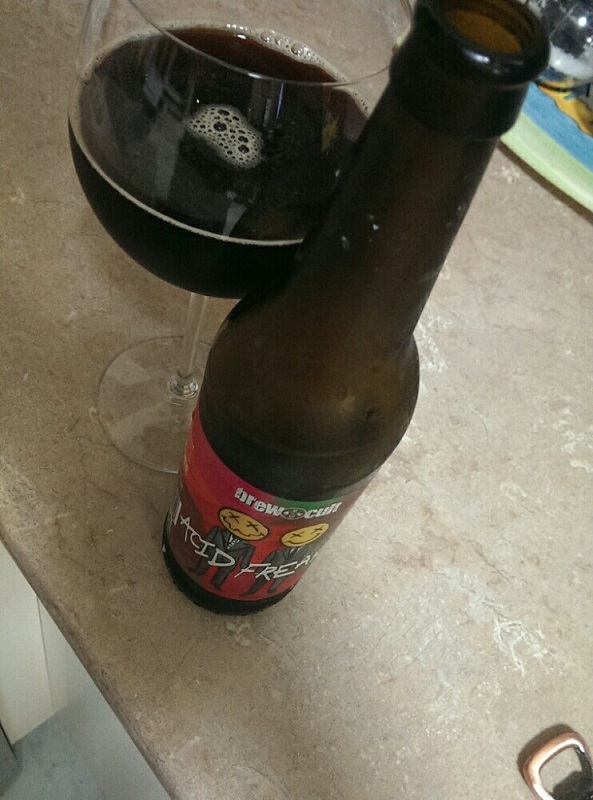 Such a complex, fruity, sour, delicious insert random praising adjectives here. I’m not sure how much this puppy costed, but it was worth every penny. On Valentines Day, I made my way up to Brewski Bar in Caxton to enjoy one of the love themed beers put on by Bacchus (and managed to bump into Mr 250 Beers). On the way out the door, I decided to grab a few take away bottles and after much deliberation, I closed my eyes and picked one off the menu. The bottle looked cool and the label said it got 96/100 on rate beer, so I figured I’d be in for a treat. Wow. There are beers that taste good and beers that make you stand up and take notice. This single hop beer hails from the UK and I couldn’t be more happier that it made it’s way around the world to land in my fridge. 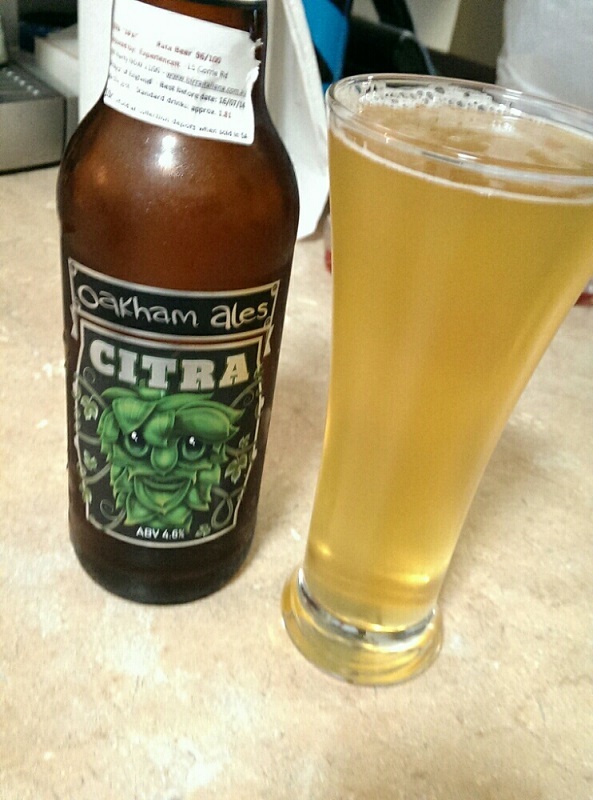 Citra hop and strong caramel make a delightfully balanced beer that went down a lot faster than anticipated. So, I’m really late in discovering this beer. It was hitting it’s stride here in Australia last year while I was overseas enjoying foreign tastes. Needless to say, when I came back, there were few remaining bottles left near me. So when I saw this bottle up at the Dan Murphy’s up in Townsville, I hopped on it (pun not intentional). A 5 hop, perfectly balanced pale ale, with a BIG frothy head, huge amount of fruity scent, and a taste that makes you weep for joy. I sat and drank this by the pool as the sun was setting, and couldn’t think of a better, more Queensland, moment. Put simply, this beer is a must have. It can’t all be smiles and rainbows in the beer world. There were a few beers that didn’t quite live up to the expectations I had of them. These don’t necessarily need to be beers I didn’t enjoy (though, they will make there way on as well), but ones that I had high hopes for and fell well short of them. Gentleman’s Wit from Camden Town Brewery was the first let down of the month. I found the whole thing a bit weak and watered down, and didn’t have that good strong gruit flavour I come to expect from the style. It scored itself a 2 star rating from me on Untappd, and after a morning of Budweiser’s (see below), I was hoping for a bit more. 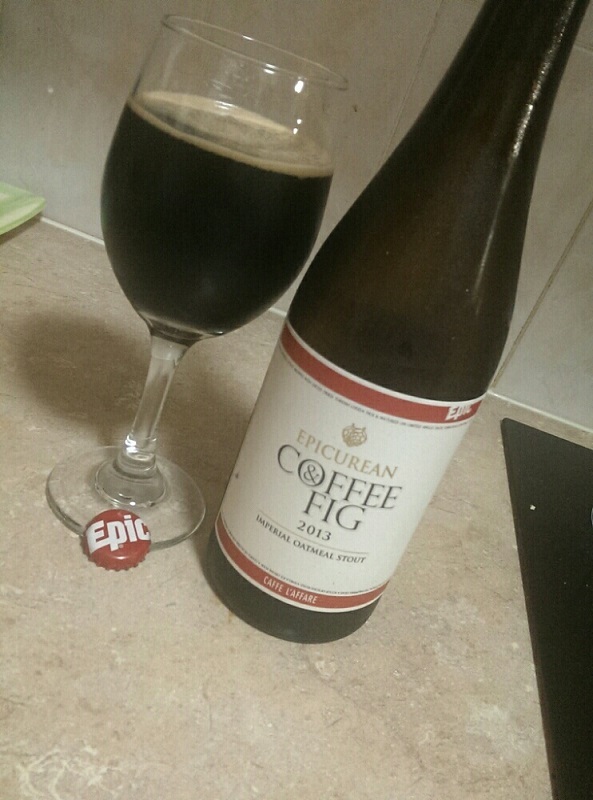 Epic Brewing’s Epicurean Coffee & Fig (2013) Stout faired a bit better, garnering 3 stars from my tasting. Although it’s a decent stout, with a coffee flavour that’s present and a good 8% ABV to back it up, the beer didn’t wow me. I was expecting a sweet fig flavour matched with an equally powered coffee hit. The latter was kind of there and the former not at all. Maybe it was just a bad bottle, or maybe my taste buds were off that day, but I found it quite lack luster. Epic put out some of my favourite beers, but this left me wanting. On the 6th, Scratch was packed up tight for ‘Fin du Blog’, which was “What Beer to Drink’s” farewell party. Aside from the lovely Bo Jingles III I had (#5 on the top 5), I also had a few of the ‘Bacchus Beer Bloggers Series Pash Pils II”. This is only the second of the Beer Bloggers series I’ve been able to try, aside from my own. My taste for pilsner is slowly coming around, but this one didn’t make me think twice. Great fruit flavour and good company. Drunken Spec’s Liam and Ammo were there along with 250 Beers’ Darren (when is he NOT in attendance), so the night got fairly boozy, but I still managed to make my train home in time. On the same night, I had a chance to try my first ever mead. ‘Desire’ from Moonlight Meadery was a taste sensation! This particular one was a berry style mead, so it does peak my interest to try more of the sweet beverage. I think at one point in the night, I declared to switch the blog to a mead only blog (Liam said the same, but patent pending). We’ll keep that idea on the back burner for now, but I’ll try and have some more and report on it if it becomes available. 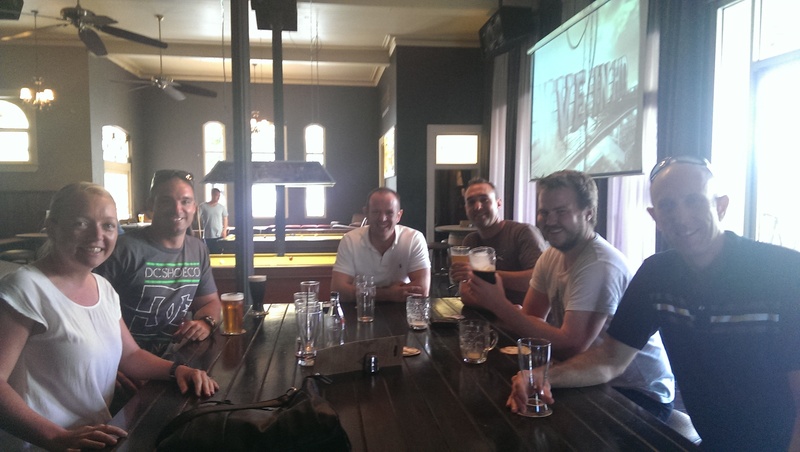 My trip to Townsville has not been boring, especially around the Righteous Brewing Townsville team. I met up with these folks on the 22nd to sate my need for a Craft Beer Rising event and they did not disappoint. We talked beer, brewing, and other miscellaneous topics as the night wore on. A huge thank you to those guys for a great night. Finally, Valentines Day saw a unique beer check in that I’ve been waiting for. It took about a year and a half to wrack up 500 unique beers, with Bacchus Brewing’s ‘French Tickler’ being the milestone beer. A lovely, hoppy Saison was enjoyed with Darren (‘m telling you, he’s everywhere) as I wrung in the badge. A lot of talk has been going around about how attaining numbers on the app is detracting from the enjoyment of the beer and to some of that, I can agree. When you are only ordering a beer for the ticker on the app, then it may be time to put it away. I, however, am of the view that it’s ok to continue hunting for new and exotic beers; that’s what peaks my interest. If I am at a pub, and the options are VB or Stone and Wood Pacific Ale, I’ll take the Stone and Wood 11 times out of 10, despite the fact it’s been checked in and VB be has not. So with that in mind, I’m quite proud of my number 500 and have a long way to go to reach 1000. The Lonely Pint has been gaining popularity, and I feel so privileged that so many of Brisbane’s venue owners have taken the time to answer my questions and let me sneak into their venues to take photos. This month saw The Scratch, Kerbside, and Cartel featured. There should have been four, but due to some technical difficulty and a trip up to Townsville, one week was cancelled and moved forward to the first of March. The Facebook page has been up now for about a month and a bit, so if you’re keen, pop on over and see it. Along with the blog, you’ll be seeing some changes in terms of design and so forth. I’ll be playing with the layout here over the next few weeks, so if you see something that looks really weird, let me know so I can adjust it.